Special Ball Swivel Fitting on end of hose. Most hoses break from too much kinking at the fitting. This whip hose eliminates the kinking at the end of your hose. This is a Great Leader Hose. The fitting on the tool side is a special ball swivel fitting that rotates 360º and tilts up to 45º. 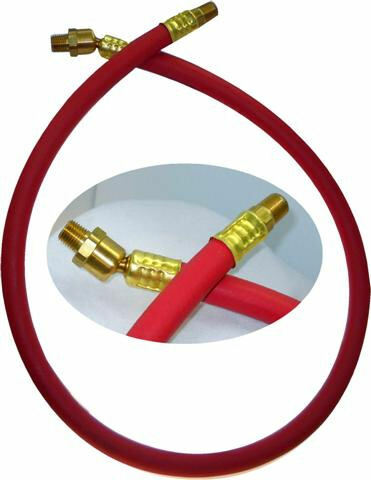 This whip hose will add 35% longer life to your hoses.